We are a company who thrives on the spirit of adventure. Neverland Toys commits itself to be the Neverland of yours that full of adventures. We focus on both the domestic and international market. We can print a small sample free of charge when you need it. We provide after-sale service and free replacement parts. we are Looking forward to your feedback. The inflatable packaged in bag and then in carton . The air blower will packaged with foam pad and then pu in cartons . 3. We will make sure the package is safe for long term transportation . 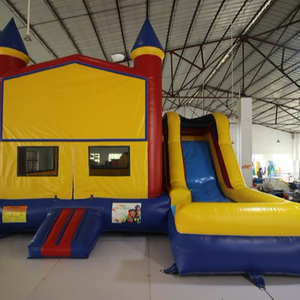 Giant shark inflatable jumping house & trampoline park/inflatable castle for kids and adults. Henan Wojin Amusement Equipment Co., Ltd.
2. Material: 0.90mm PVC 3. Stitching: Double stitching and quadruple in areas of high tear and at every corner. Payment: T/T or west union 30% in advance , balance before shipment. 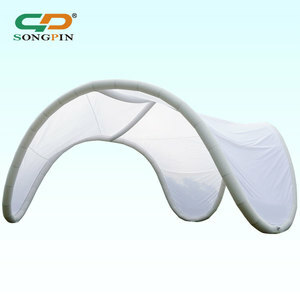 If you are interested in our inflatable products, please don't hesitate to contact me. 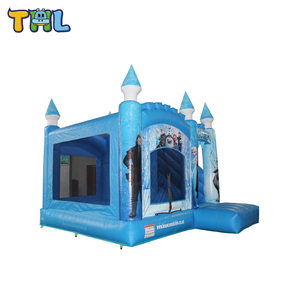 Hola frozen bounce house/giant inflatable jumping castle/inflatable castle 1.Specification for inflatable bounce house Name: inflatable frozen bounce house Material: 0.55mmcommercial pvc tarpaulin, Waterproof, Fire-Retardant,Anti-UV. Size: 5L*5W*4H meter or as your demand Brand Name: Hola or OEM Color: any color is ok Printing: logo, advertising banners or others (Hand printing, computer printing or silk printing are ok. Usage: Widely placed in parks, squares, family gardens, schools, sports arenas, playing centers people can play together and enjoy themselves in super wonderful fun paradise. Production Process OEM&ODM We have own designer team can accept customer design drawing to make any size color and shape as you want. Q: Is OEM or ODM avaliable9 A: Yes, we can produce according to customers' requirement. Q: Can you make my own design9 A: Yes, you just need send us details and a sketch or a picture of your requirements. 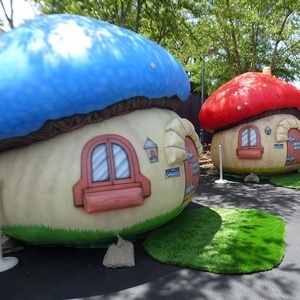 Guangzhou CH Inflatables Co., Ltd.
All the cargo photos will be sent to customers to confirm all the details and make sure the commodity is client need . Q4. Can you design one specially9 Yes, send us details and a sketch or a picture of your requirements and we will quote you our best price. Q5.How long will it take to inflate inflatables 9 Answer: only need one person to inflate and the time is 1-2 minutes. Item: giant inflatable life saving folding air mattress pad Technology : Double stitching & quadruple in areas of high tear and at every corner Material : 0.55MM PVC warranty : 5 years Accessory : Repairing tools Certification : CE and SGS Color: Customized size: Customized Our company mainly to do inflatable toy and mascot costume, now have more than 150 employees, We have CE and ISO9000 classification products, can show the strength of serveral aspects, whether the advantages of productions logistics process and after-sales service. Function fulfillment per mass used compared with non-inflatable strategies is a key advantage. 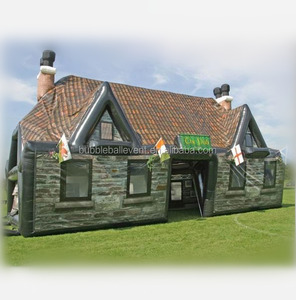 Can you deliver the printing products to giant cheap best-quality inflatable house9 Yes, of cause. 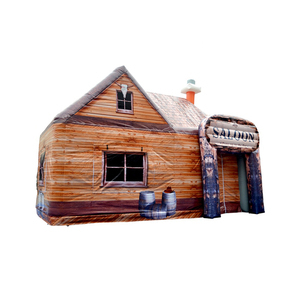 Can you send me a price catalogue of giant cheap best-quality inflatable house9 Our products are all customized, different customers have different requirements. 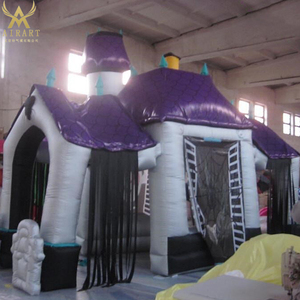 Yantai Hello Inflatable Co., Ltd.